Did you want to know something interesting? The first domain name was “symbolics.com” by a computer systems firm, Symbolics Inc., in Cambridge, Massachusetts, on March 15, 1985. The domain name is the URL address associated with the name of your website. For example, “From You Flowers” is the name of a website, and “www.fromyouflowers.com” is its domain name. If someone wants to visit your website, they will type this address in the web address bar, and that’s why it is very important to select a simple and short name for your domain. This makes it easier for interested visitors to find you. 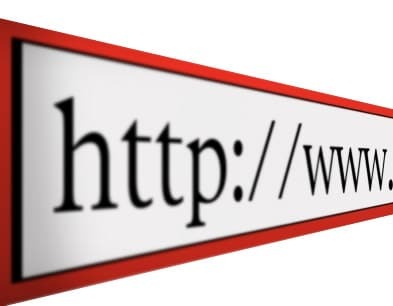 If you want to launch your own website, the most important part is set up a unique URL or address that can distinguish your website from the others on the World Wide Web. Here are some tips for you to find the perfect domain name for your business. The website address should contain important keywords so that the visitors can find you by the specific service or product they are looking for. For example, if you are launching a website for selling food, you will have to list the possible keywords people will look for in such a website, such as the name of the food, food quality, and service areas, etc. You need to play around with these words to find the perfect match. You need to research your business to decide the best keywords. Make sure you spell your keywords correctly. It would be a disaster for your website’s exposure if you misspell your domain name. There will be no visitors to your site. If anybody wants to use this word “knowlege” in your URL, it is obvious that there is an alternate spelling ‘“knowledge”’ for the same. So, someone else, might have launched a website with the alternate spelling, and this, can whisk away your potential visitors. So, you need to keep very careful about using the accurate spelling on the domain name. There are some top level domains (TLD) like “.net”, “.edu”, etc. and many people are not used to searching these types of domains. This may also cause you to lose some visitors. The recommended option is to use a “.com” domain which is very popular and well known to all so that people will be able to find you easily. Many web addresses consist of hyphens in the address. But realistically, how many people will able to remember the hyphens? If you are the employee of the organization or if you are closely attached with the address, you might remember, but if you are like most people, you will just write the plain form of the address without any hyphen. In that case, the search result may not show your website, and thus you will lose those visitors. The short names are easy to remember rather than the long names. If the visitor can remember your website address quickly, there is high possibility that they will visit your page whenever they need something rather than looking at other websites. If you have a flower selling website and you choose the name “abcd.com” that will be confusing to people. If you keep the name, “Xflowers.com” then people will definitely get that you have a flower business. This simple naming convention has a huge impact, so choose a name that is self-explanatory. Don’t use any name that is under copyright. Internet domain laws are very strict but clear. Copyright infringement could lead your website to long and expensive legal processes. Even if any part a domain name is trademarked, it would wise to avoid using the same name. There are many directories and search engines that list search results in alphabetical order. In that case, if your domain name starts with the letter Z, it will be shown on the last page and will probably not be seen or visited by the user. Make sure to choose a search engine friendly domain name with your keyword. These important factors should be kept in mind when choosing a domain name. In summary, your domain name should be unique, memorable, short, and relevant. If you follow these factors for your domain name, you can rest assured you will get good web traffic. This article is written by Evie Coles. She regularly publishes interesting articles on web hosting, web development, and the latest hosting deals and coupons. While researching on her writing, she found and collect useful information on domain name selection and different web hosting service provider reviews from many web resources. Why Manual Link Building Will Never Get Old?